Buy Lifting Slings from Cargo Master, High quality, low price. Our range of lifting slings provide you with a 7:1 safety factor over the designed weight capacity as well as being colour coded for safety and identification. Not only do they comply with BS EN 1492 : 2000, UK & European Lifting Sling standards but they are also supplied with a certificate of conformity and are numbered to ensure traceability. 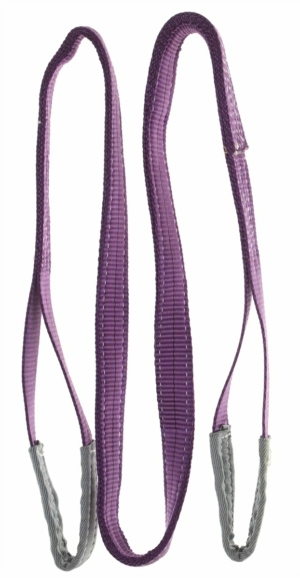 We have provided you with latest duplex and round slings in a variety of colours for easy identification. The Duplex slings are supplied with eye protection and the Round slings are ideal for delicate surfaces! You may also be interested in our Ratchet Straps which are ideal for transporting large and heavy loads.